The Sweet Dreams Felix pine children's wardrobe features a traditional design in a neutral white finish suitable for a girls or boys bedroom. 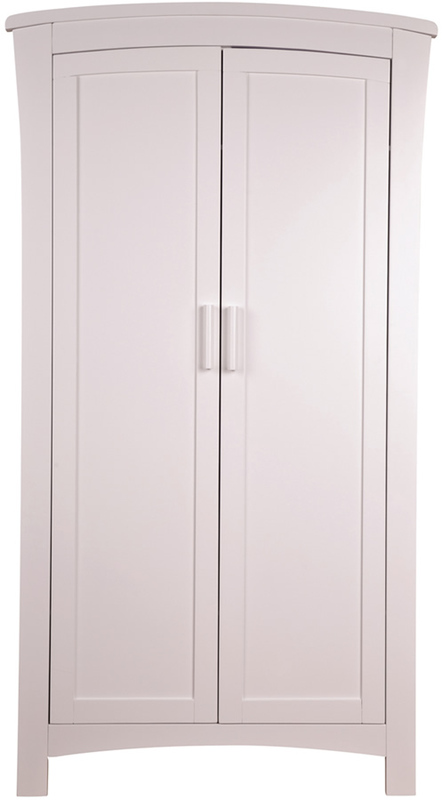 For storage the Felix 2 door wardrobe offers ample space with two full width shelves and two hanging rails. Both of the Felix wardrobe doors are finished with wooden vertical handles positioned to the inside centre edge of each door.